Winning the coveted 'Agency of the Year' title at the IPM Awards was a huge night for TLC Marketing. Our total haul was an amazing four Golds and a Silver with the night ending with the Agency of the Year trophy, presented by Claudia Winkleman. Two weeks later, we reflect on how far TLC Marketing have come in an exclusive interview with our Chairman and Founder, Nick True and General Manager John Pearson. 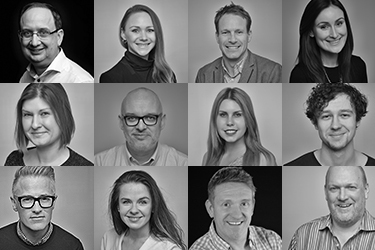 Can you sum up what winning Agency of the Year means to you? JP: I am just so proud. I challenged Emma, our PR and Marketing Manager when she started, “How amazing would it be to win Agency of the Year at the IPM Awards? Can you make it happen?” So to have achieved it in half the time I expected is just incredible. This is probably one of the proudest moments of my career. I have the entire TLC UK and Ireland team to thank for this. NT: It’s a very proud moment for TLC Marketing UK and Ireland and everyone who has worked so hard to get us here. I felt very honoured to attend the prestigious awards ceremony at the Hilton Park Lane. That night I thought about how proud my late father would have been to see the company he founded be recognised in such a way. Did you ever think Agency of the year was possible? JP: Anything is possible when you put your mind to it but we were competing alongside some great agencies who have done brilliant work so naturally, you always think it is going to be awarded to someone else. I always imagined we could win it, I know my team are more than capable, but never expected it this year. I’m so proud that their hard work and expertise is being recognised. This is such a fantastic accomplishment for them. NT: To be honest I didn’t ever think about it because it’s not something I expected. The ex-chairman of the IPM came up to me at the awards and said, “This story is like a fairy tale. What you have done is something else. Well done. 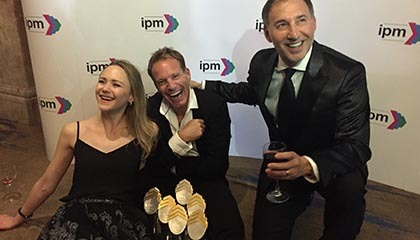 This is well deserved.” I hope the IPM will continue to use our story as an example to others of the brilliant work that can be produced and how we became the best agency in the industry. What is it about TLC that stood out to the judges do you think? JP: In a word, the work. I honestly believe we have some of the best Planning, Strategy and Creative minds in the industry. When you combine that together with our spirit and collaborative approach it’s the perfect recipe for work that delivers results for our clients. Every day I’m blown away by the ideas that come out of all the departments. It really is a collaboration here. Everyone has a voice. We heard many of the judges praised our creative execution. We have such fun marketing ourselves as an agency and I think that shines through. There’s no denying that our Giant Chip Fork is an unmissable piece of direct mail. It obviously captured the attention of the judges in exactly the same way as it did our target audience. Our stand out creative is also evident in our execution of Relish Rewards loyalty scheme for Pallas Foods. The b2b food service industry doesn’t offer much in terms of creativity, so to get noticed we knew we had to be completely unorthodox. We’re lucky to have clients willing to go along with the ‘big idea’ and trust our creative judgement because I truly believe that’s what differentiates us from the rest. We have a plethora of talent, all driven by our internal culture and desire to succeed. When you have a happy, motivated team they ultimately produce the best work and make happy clients. NT: As John said, this is about a lot of hard work, unbelievable creative, world class deal making for our clients, amazing rewards and a welcoming culture and looking after our clients. The fantastic thing about it all is this was awarded to us by judges who are our peers. To win Agency of the Year is just incredible. What is it like to work for the IPM Agency of the Year? JP: I cannot thank the team here enough. The effort they put in makes this the most enjoyable place I have ever worked. I genuinely look forward to coming in because everyone here is such a joy to work with. I was talking to Nick, our Chairman and Alec, our Group CEO the other day about it. I’ve never enjoyed working as much as I do now and it’s because of the people around me. I feel incredibly lucky. I’d like to thank everyone from the bottom of my heart and encourage them all to enjoy this moment. Working here is fun. It’s full of creative thinking and everyone is allowed to express their point of view, to try make what we do even better and at times even tell me when I’m wrong. What's next for the IPM's Agency of the Year? JP: We must ensure we sustain this level of professionalism and expertise that got us here in the first place. Internally we are reinvesting in our people ensuring we remain the best in class while at the same time looking forward to the launch of what we hope to be more award winning campaigns. I sat down with Rob Scott, our Group Creative Director last week and we’re both very excited about the briefs coming into the business at the moment. With the launch of Pure Loyalty, we are seeing more retail and FMCG opportunities than ever before. It’s an exciting time to be working at TLC. NT: We have a lot to live up to as ‘Agency of the Year’. We mustn’t forget how we got here and ensure we keep producing incredible work and nurture the talent we have within the business. We are nothing without our wonderful people. What happens when an ex-punk rocker and ex-professional footballer go to The Palace and meet The Queen?